Summary: Before amnesia clouds our memories of Iraq and Afghanistan, as it has erased the lessons of Vietnam, we should review the books that guided us to the long disaster of serial interventions after 9-11. Today we have a cheery mid-war look at one such. Historians will look at this book and see madness. Reviewed by Scott A Cuomo (Captain, USMC). Originally published as “COIN of the Realm” in the Marine Corps Gazette of July 2006. Republished here with their generous permission. 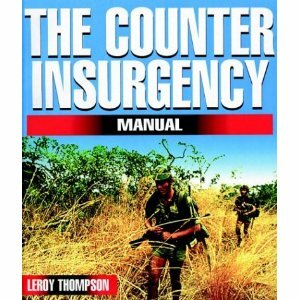 At the end is another perspective on this book, and more information about COIN (counter-insurgency warfare). 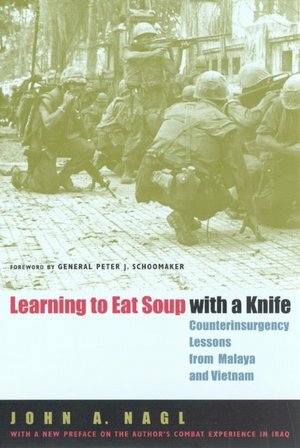 As we remain locked in extremely complex counter-insurgency (Coin) battles in Afghanistan and Iraq, readers of the Gazette would be hard-pressed to find a book more relevant, thought-provoking, and important than John A. Nagl’s Learning to Eat Soup With a Knife. Nagl, a U.S. Army lieutenant colonel currently serving as the Military Assistant to the Deputy secretary of Defense, prefaces this edition by comparing his Coin experiences in Iraq’s “Sunni Triangle” with his analysis of the British Army in Malaya and the U.S. Army in Vietnam later presented in the book. Although admitting a few minor omissions and missteps in the preface, primarily as a result of writing the first edition before ever “practicing” Coin, Nagl concludes that his explanations of why the British Army defeated the Communist insurgency in Malaya and the U.S. Army failed in its Coin efforts in Vietnam were right on target. In both cases he analyzes each army’s ability and willingness to change to meet the needs of Coin warfare. He then argues that the British Army succeeded in large measure because it was a learning and adaptable institution in contrast to the U.S. Army, whose organizational culture during the Vietnam era prevented it from making the necessary changes required to win. The book is segmented into 4 parts. 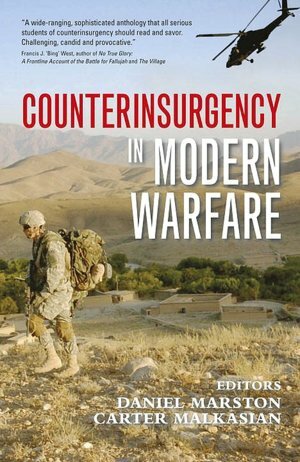 Part I sets the stage for his comparison by examining how armies learn, the hard lessons of insurgent warfare, and the general role played by the British and U.S. Armies throughout history. Part II focuses on the British Army Coin experience in Malaya from 1948-60. What is most telling about this section is how the British Army encountered many of the same challenges the U.S. military has faced in Iraq, and how, from 1948 to 1951, it often responded in similar ways. For example, stemming from their successes in conventional operations during World War II, British commanders looked to large-scale battalion maneuvers against suspected pockets of insurgents as the answer to eliminating the enemy. From 1952 to 1960, British strategy changed to focusing heavily on coordinating social, political, economic, police, and military efforts. Advising and assisting Malayan security forces to ensure that the populace was protected from the insurgency also became a top priority. Much of the British Army’s success is credited to GEN Sir Gerald Templer, the British High Commissioner in Malaya from February 1952 to May 1954, who inspired organizational change and refused to let bureaucracy stand in the way of mission accomplishment. Part HI looks at the U.S. Army in Vietnam, first during the advisory years from 1950 to 1964 and then after the introduction of U.S. conventional forces from 1965 to 1972. Nagl’s analysis reveals that U.S. efforts during the advisory years were severely handicapped by the fact that those who truly grasped the problems of CoIn, particularly the advisors on the ground, were ignored or outright removed by their conventionally minded superiors. Most senior U.S. Army officers refused to accept the importance of understanding the Vietnamese language and culture and the necessity to use Vietnamese security forces to protect the population. Part IV emphasizes the hard lessons learned in Coin by both armies. Specific attention is paid to the importance of fostering an organizational culture that is willing to constantly learn and adapt based on the situation. The book’s final pages reinforce this point by noting how the “dirty little war” trend continues. Having passed from Vietnam to Somalia, Bosnia, and Kosovo, and rearing its head again in Afghanistan and Iraq, Nagl stresses that Coin is also the most likely type of conflict U.S. forces will encounter in the foreseeable future. In the book, Nagl references Otto von Bismarck’s suggestion that fools learn by experience whereas wise men learn from other peoples’ experience. I spent more than a year in Iraq trying to figure out how to fight the insurgency. I look back on my experience now with the belief that, at best, I accomplished very little and, worse, facilitated the masses increasing their support of and active role in the insurgency. Had I read Learning to Eat Soup With a Knife before “spilling soup all over myself’ many times over, the result of my efforts would have been drastically different. I suspect that the vast majority of Marines who read this book after serving in Afghanistan and Iraq will feel the same way. It’s time for us all to really begin learning from others’ experiences in Coin. Learning to Eat Soup With a Knife should be the starting point for staff noncommissioned officers and officers. Captain Cuomo served with 1/4 as a rifle platoon commander, company XO, and combined antiarmor team platoon commander during Operations IRAQI FREEDOM I and II. He is currently a warfighting instructor at The Basic School. all very fine … but WHY are Americans in any of these countries ? They stole the USA from the Indians , the south of the US from Mexico , Cuba from the Cubans , central America from those people , the Phillipines from Spain , Hawaii from the Hawaiians … Vietnam , Iraq , Afghanistan , Libya , Syria …all of these are a continuation of a bloody history . And they tell the world they stand for peace !! Some historical perspective will help with your question. Until WWI war was the health of the State; nations grew primarily though conquest. The Allies of WWII, led by the United States, had a dream of changing the order of the world — with the signing of the UN Charter as the first step. Unfortunately that dream had many enemies. One of which proved more serious than all others combined. We killed the dream: America. Vietnam was a transitional war, an in many ways the model for the post-9/11 wars. Sparked by a deliberate government lie; confused in both motive and execution, and executed with a brutal disregard for human life. What comes next in this story? Nagl had / has a serious misunderstanding of the Malayan Emergency. 1. Coercion. Brit “classic COIN” was about coercion. Heart and Minds was a cover for the forced detention of Chinese squatters in camps in order to prevent them from feeding MCP guerrillas. Luckily for the Brits Malaya was a net food importer, the squatters lived in narrow bands on the fringe of the jungle, weren’t armed, didn’t own their land and the jungle has very little to eat in it. How was that repeatable in Viet Nam, Iraq or Afghanistan? 2. Politics. The Brits were able to have unity of command because they ran Malaya. They weren’t dealing with a host nation. When they announced they were leaving the insurgency calmed down. That the “enemy” was drawn almost exclusively from the poor rural members of a visible minority made things easier. 3. Scale. 519 soldiers died over the course of the 12 year emergency- with 1950’s medical technology, evacuation capability and PPE. Malayan civilian deaths were about 2/3 for the entire war what an average 2006 month in Iraq was. For an interesting take on the skills of Chinese guerrillas in Malaya see Spencer Chapman’s The Jungle is Neutral. Scale also helped the Brits have the resources to round up most of the rural Chinese population ~ 400,000 people. 4. Sanctuaries. Malaya’s only land border was short and with Thailand a very anti-communist state.There of course was no North Viet Nam helping out. 2) We could have won if we’d invaded the North or bombed them more. I expect the facts are less palatable to the US policy makers: it didn’t matter what you did- you were in someone elses country and they were home. Eventually the US would tire and leave. That’s probably the lesson for Iraq and Afghanistan as well. If you are an imperialist, America could have built an organic empire as a Western colony in this hemisphere, by going south, while building a protective barrier against Oriental incursion from the west.That’s organic spiritual-cultural geopolitics. The culturally dysgenic empire of bases is nothing more than an internationalist plutocracy with a heavy Zionist overlay which got permanently off the wrong track when it fought what Pat Buchanan calls “the Unnecessary War” against its European motherland. Since 1933, when the alien plutocracy took over, the US isn’t even a part of the West, which itself is virtually extinct, since the loss of the Battle of Stalingrad. What’s worth fighting for now is only Europe/Eurasia. And fighting against-any move by the Ameri-Israel empire of bases and its spiritual leprosy. 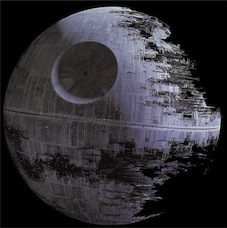 Hopefully Russ and China have checkmated the evil empire by drawing a line vis a vis Syria.